Though the weather has been up and down since the start of spring, it seems as though the extremely frigid temps are gone, leaving us with chilly early spring/fall-like temps every couple of days. On those days, I've been reaching for my cozy cardigans and leather jackets, which I must admit, I've missed. I'm thankful that I no longer have to wear my puffer or wool coats and can play around with light layering. I have to say that for the past few seasons, I've been pretty content with the practicality of the most popular trends we've been seeing. From colors, such as red, yellow and purple dominating the scene, along with transparent clothing/accessories, basket bags and ankle socks, these trends are bold as they are doable for the everyday woman like you and me. Happy Wednesday my lovely friends! 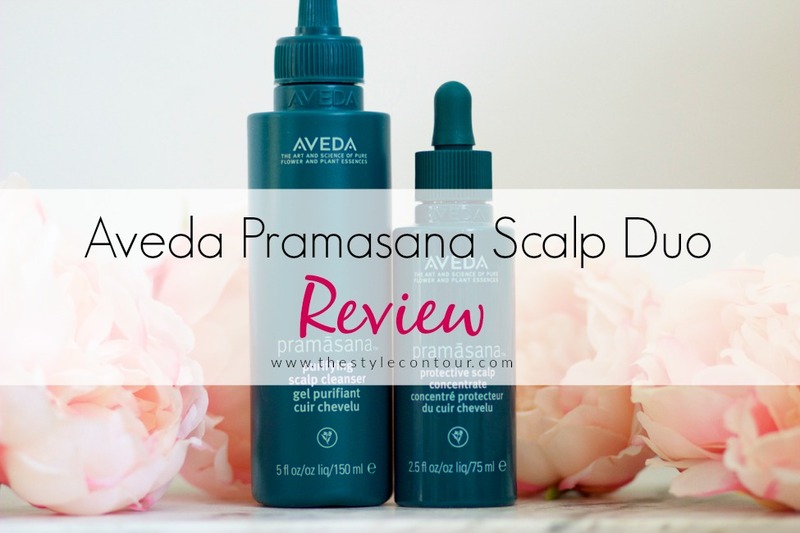 Today I'm sharing my thoughts on two products I received back when I was a few months pregnant with Aviah from Aveda's Pramasana collection. I didn't use them while pregnant because I was super paranoid about trying new products. I began using them a few weeks postpartum and they've been staples in my haircare routine ever since. I tend to use them at least once a week becasue my hair is fine and oily by nature, so the fact that they provide a deep cleaning to the scalp is perfect for me. 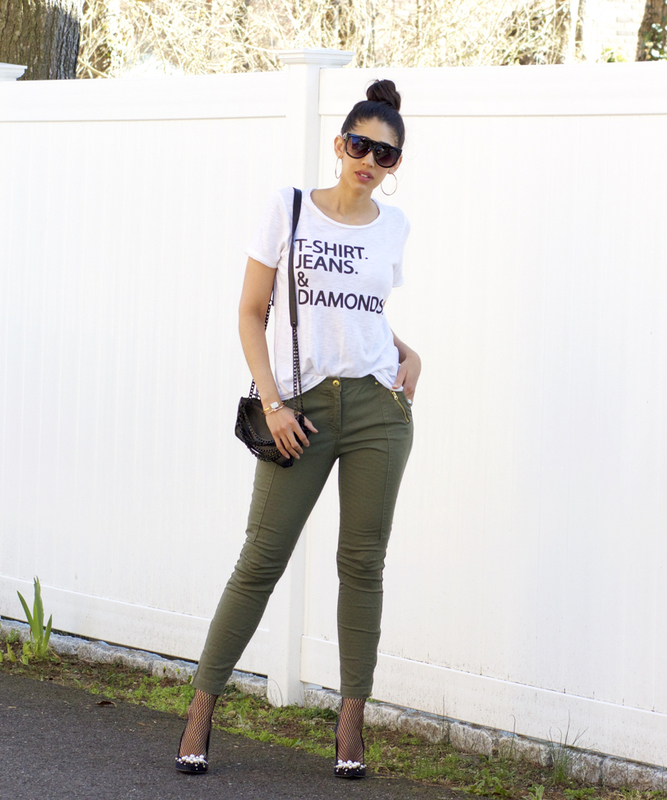 I actually got inspired to put together this outfit from this look I came across on Pinterest. Though my pieces are very different, the vibe is very much similar in that it's both feminine and edgy. What sparked my interest in wanting to recreate it was the statement shoes the girl was wearing; they really made the look (and I loved the way the black looked with the olive green and white). I began thinking of statement shoes I already own that could create the same eye caching effect and immediately thought of these favorites of mine. 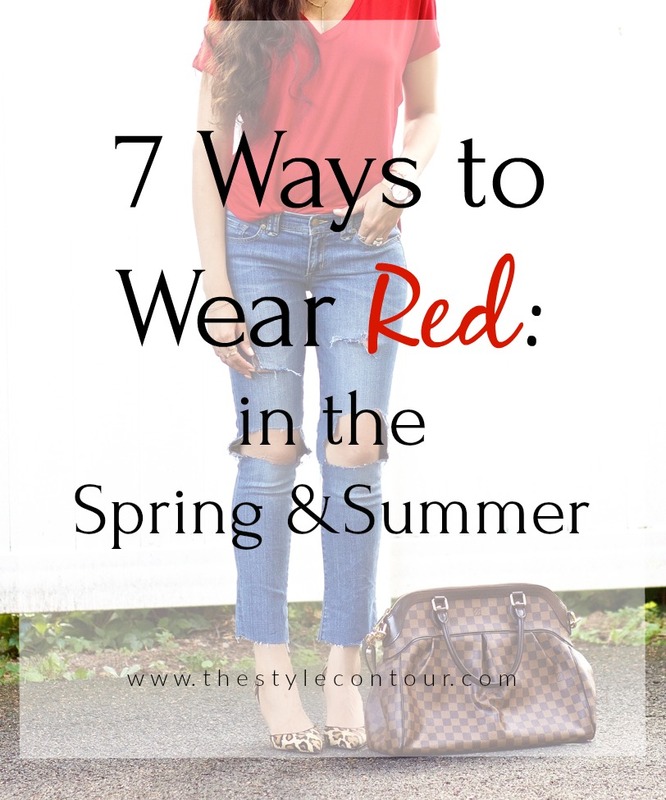 As you all know, red has been one of the hottest color trends since the start of fall and it's still going strong! It's a color that I've reignited my passion for, as a result, and have been seeking out new pieces, since I didn't have much in my wardrobe. I actually styled an outfit almost identical to this one (see here) during the winter, but in that outfit, I styled these houndstooth pants with an oversized red balloon sleeve sweater. The weather is for sure all over the place with snow happening one day and it hitting the upper 50s another, we're in early spring. 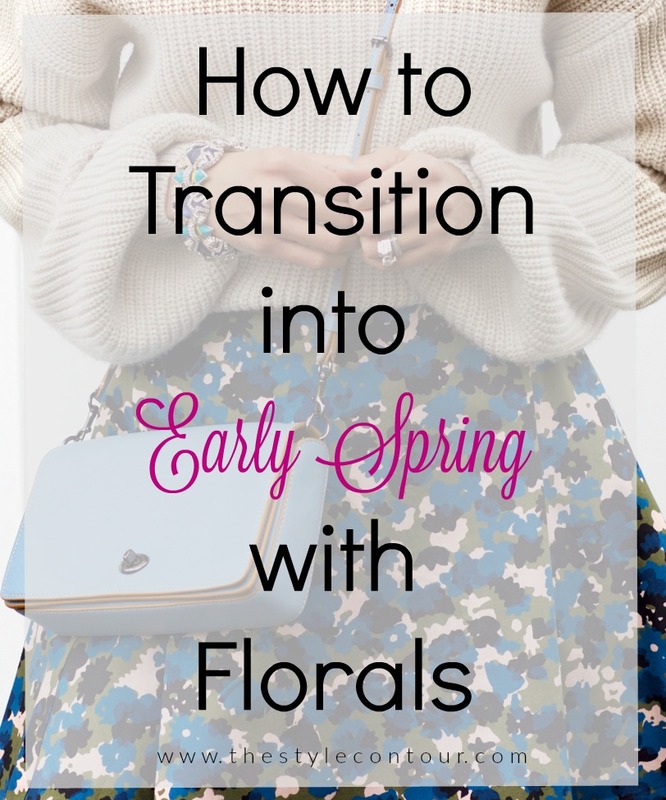 This time of year can have all of us desperate for wearing our head-to-toe spring-y outfits; bring on all of the pastels and florals. Considering the weather, some days it may not be as easy to step out in those pieces without adding in some coziness in an oversized sweater or extra layer and that's actually okay. I think an oversized sweater or leather jacket can really add an interesting element to an early spring outfit adding in more dimension. How was everyone's Easter weekend? We went to church and then for brunch afterwards. I typically make Easter brunch myself, but I needed a break from cooking for a holiday, since I did it for nearly all the ones during the holiday season and it's so much harder to do when you have a little one! I didn't wear this exact outfit, though I did wear the blouse. It may look familiar, if you remember the post I did a few months back, My Recent Purchases and Wish-List. The blouse is, unfortunately, sold out in the blush color, but there's one size left in the black. Perhaps you'd be able to find it stores, if you're interested. It's absolutely beautiful and looks great paired with denim, trousers, and suede, as I've done today.